The Museum of Architecture, a new London-based organisation, and the British Council sponsored an exhibition this summer intended to highlight architectural interpretations of the ‘home’ in the Arab world. 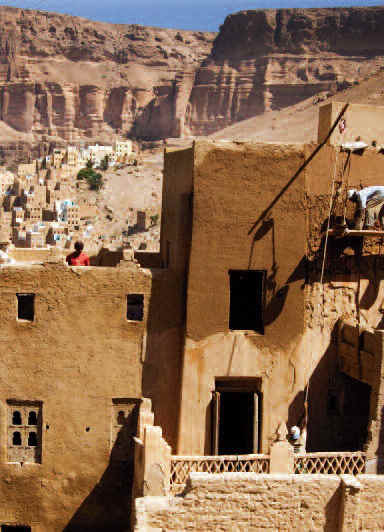 Dr Damluji was invited to contribute an audio-visual presentation of ‘home’ in Yemen, drawing on her long experience of the region and her work on the conservation of its mudbrick heritage. 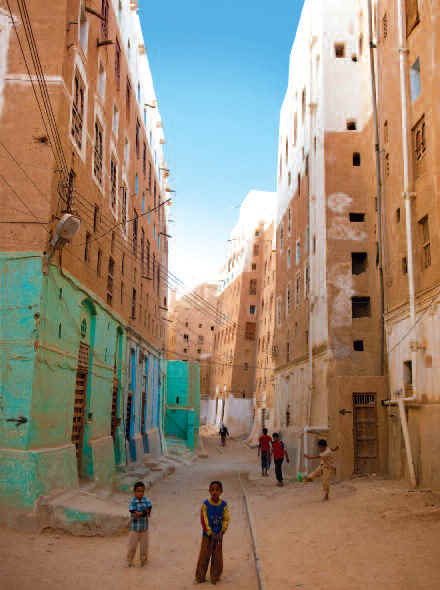 Her commentary for the exhibition, reproduced below with photographs which were on display, poignantly attests the mixed fortunes of contemporary mudbrick architecture in the Hadramut province of the country. Dr Damluji is Chief Architect of the Daw’an Mud Brick Architecture Foundation (http://www.dawanarchitecturefoundation.org) based in Mukalla. In April 2012 she received the Global Award for Sustainable Architecture, at a ceremony in Paris. 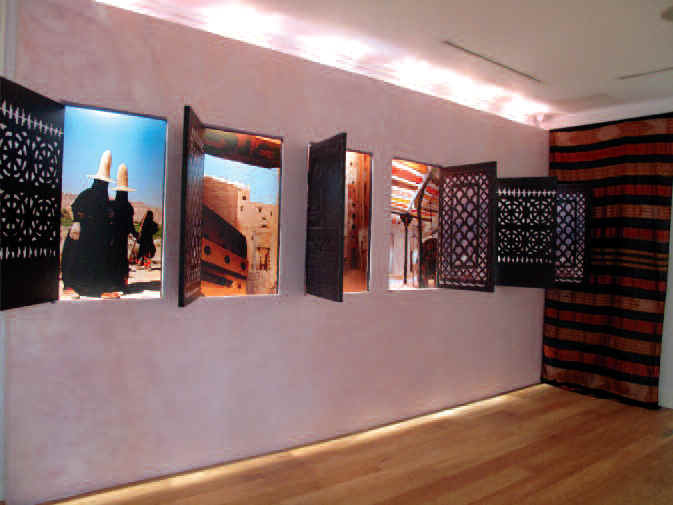 The exhibition touched on the theme of ‘Al-Bilad’, the name given by Hadramis to their home-town and country. The installation was arranged in three sections: a wall designed to mirror the exterior and interior of Hadrami urban architecture; a wall to act as a screen for the projection of a film, Sundust, comprising a series of images shot in Shibam to reflect a sense of the living landscape; and a wall bearing the text of my commentary – a wall of words! The installation aimed to underline the importance of the urban landscape and the fact that architecture is not only about buildings. The exhibition was put together at very short notice and within a very tight budget. The design concept was developed in Beirut with the assistance of Samer Al-Ameen (Image consultant and designer) and produced in London. Samer had earlier been involved in the preparation and production of materials and events for the Say’un Earth Conference which was scheduled for February 2011 but which had to be postponed at the last minute due to the political unrest prevailing in Yemen at the time. 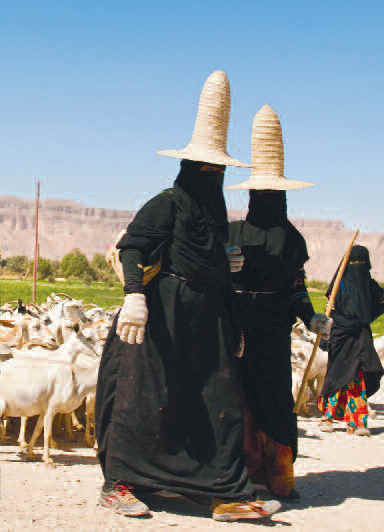 To mark the event a book was published entitled Earth Architecture: Mud, Stone & Shale: Wadi Hadramut & Daw’an, sumptuously illustrated with superb photographs by Roger Moukarzel who shot the wall images celebrating ‘Al-Bilad’. The film Sundust was an idea which Roger developed in response to the time and budgetary constraints under which we had to work. Another source of enthusiastic assistance was the London-based Lebanese sculptor, Souheil Suleiman, who built our exhibition structure. We dedicated the work to the memory of Master Builder Karamah ‘Ubayd, of Tarim, who passed away suddenly during Ramadan 2011. He and his team worked with us on all projects completed to date: in Wadi Hadramut (Aynat and Sah) and in Daw’an where work continues on renovating Masna’at Ba Surrah. His advice and expertise will be greatly missed. ‘Al-Bilad’… is Hadramut as it is known to Hadramis. Home is where the heart is, and the heart dwells in ‘Al-Bilad’… This the fundamental quality of ‘home’: it is the locus of memory, care, love and commitment. This is understood by Yemenis in general and Hadramis in particular, whose hearts remain within ‘Al-Bilad’ even though they may live outside it. Every home in ‘Al-Bilad’ has a story. Towering buildings and quiet enclaves, landscapes crafted with beauty and dignity, embody a vision of the future which embraces the past, where home life is contained within cool polished walls, simple spaces and furnishings, which exude the scent of incense and myrrh. Inhabitants do not allow roads to be built inside their towns, so children can play outside freely, unthreatened by motor cars, and goats roam at will. But these ethereal sites are being targeted by contractors and developers intent on demolishing centuries-old earth mosques, and replacing their graceful arcades, lofty arches and domes with ugly edifices made of cheap cement bricks and ceramic tiles. While architects on another planet claim to be inspired by its sustainable architecture, Shibam is neglected and decaying. Paraded as a cultural relic, it is a museum of architecture falling into a desperate state of dilapidation, while the community discreetly moves out of this world heritage site. Carved window screens, doors, capitals and columns are removed and exhibited as antiques for sale in the streets. Does anybody care? Here we live in homes of several storeys, not flats and apartments. 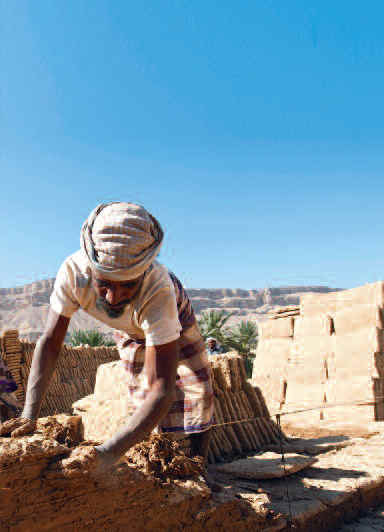 We have no housing shortage and continue to build in mud brick, stone and shale. 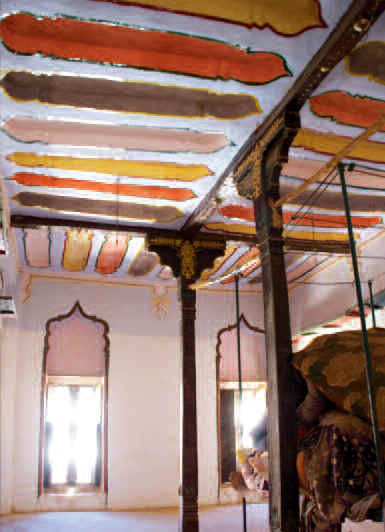 We use nurah, a white marbleised plaster polish, to dress our internal walls with different motifs. Here we have open space, courts, terraces and fields. In Daw’an, each living room or bedroom has its own bathroom, and houses are equipped with water cisterns and pools. The architectural loss suffered in the towns and cities of ‘Al-Bilad’ is materially and visually painful, even within the context of urban confusion and disorder. It must be understood as a battle for the future, not for conserving the past, on behalf of communities who have a right to celebrate their cultural landscape and urban heritage, and to draw from it. A sense of dignity in an economically balanced and sustainable environment – this is ‘Al-Bilad’.